Watch our new video to take a peek inside our beautiful eco friendly accommodation. Almyra is your gateway to the beautiful Abel Tasman National Park where golden sand beaches line the shores and you can be as adventurous or as relaxed as you please. Local tour companies here offer guided tours of the park - by walking or kayaking, or both together. Tracks in the Abel Tasman range from 30 minutes one way to 3 - 5 day hiking tracks. We are located just a 40 minute drive from the park - a perfect day trip away. After walking or kayaking in the Abel Tasman, you can return and soak in the hot spa or relax on your private deck and watch the sun set over the Mt Arthur ranges. Every now and then you happen across a spot which is so idyllic; you can't help but immediately settle in and enjoy it to the full. Almyra is just such a spot. 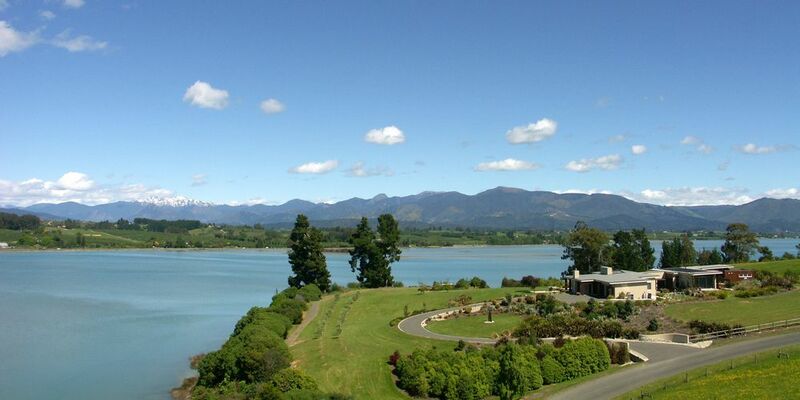 From its peaceful location on the Kina Peninsula, Almyra looks out over the Moutere Inlet to pretty vineyards, rolling hills and Mt Arthur's craggy profile in the distance. The luxurious apartment (featuring king bedroom with en suite and separate lounge/kitchenette) offers a superior level of comfort and with your own deck area (with barbecue), the use of the pool and that lovely view to soak up, there's little motivation to venture out. 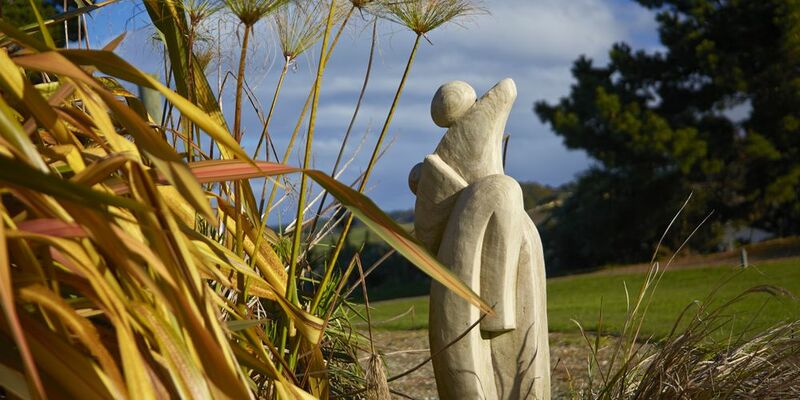 When you do, the beach is just a short walk away and vineyards, art galleries, Motueka's shops and the Abel Tasman National Park are all within an easy drive. Hosts Fiona and Ron Oliver ensure their guests have as much privacy as they desire. Breakfast provisions tailored to your preferences and free Wi-Fi access are standard. Almyra has an adults-only policy with a three-night minimum stay over peak summer (you wouldn't want less!) and two nights at other times.